We are currently out of stock. Enter your email below to receive a back in stock notice. For those of you who eat & breathe Simcoe like I do, good news. Williams has consistently provided Simcoe when other supply companies could not. Great for hoppy west coast IPA's!!! from Cascade Awesome late addition hops! 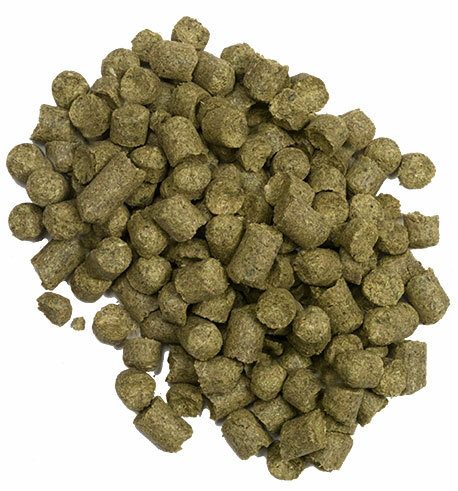 Simcoe hops are awesome for late addition and dry hopping. One of my favorites for a distinct American IPA or Pale ale. If you haven't used these hops you're missing out. I love Simcoe for big ales. Perfect for imperial IPAs. Works great for bittering and aroma. Get em quick. They go fast! I'm not surprised this product is currently sold out! Excellent for dry hopping my fermented Irish ale. I recommend that everyone try it. Next time I'll buy a lot more! How are these shipped? Flushed with nitrogen and vacuum packed?